These cards are digitally hand illustrated and professionally printed on 110-Ib matte stock. Measures 3.5" x 2". 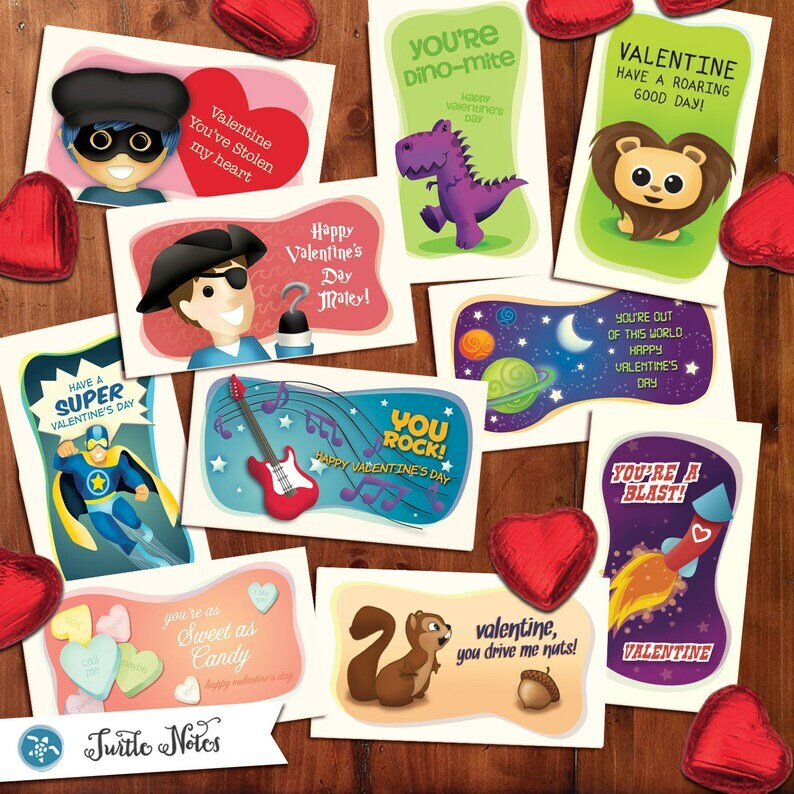 These valentines are perfect for lunch box notes, to accompany a bouquet of flowers, or to exchange in class. 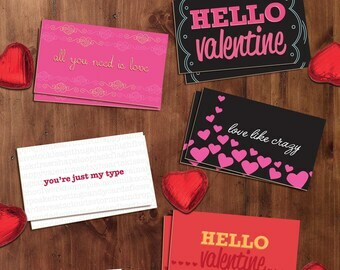 You get 10 business card-sized valentines (1 of each design), all are blank on back so you can write your own message. Valentine, you drive me nuts! Valentine, Have a Roaring Good Day!